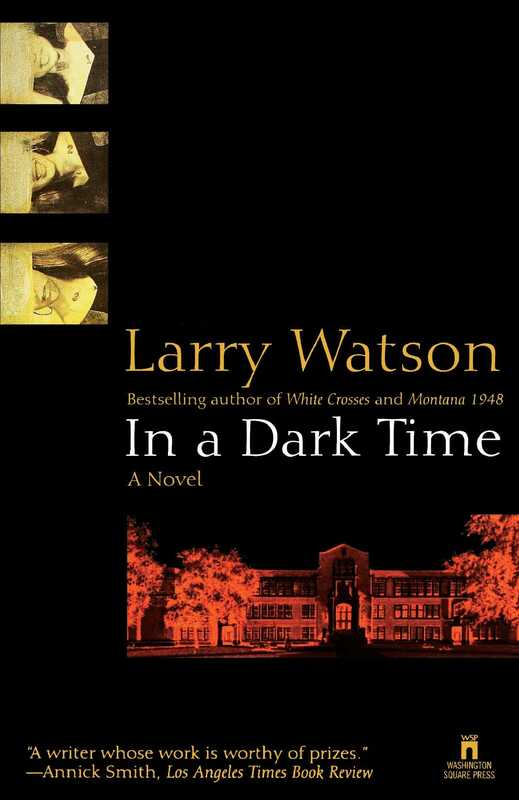 A powerful voice in contemporary American fiction, Larry Watson is the award-winning author of Montana 1948, hailed as "a work of art" (San Francisco Chronicle), and White Crosses, praised as "one of the most irresistible novels of the year" (The Globe and Mail). In this, his debut novel, Watson explores the themes that established him as a master protrayer of small-town America. Another female student has been found strangledthe body count is up to three, and everyone suspects there will be more. But for Peter, a reticent teacher at Minnesota's Wanekia High School, his own morbid fascination with the murders haunts him more than the morning headlines. Keeping a detailed journal of his community's actionand his ownPeter discovers a disturbing ambivalence toward violence in the midst of uncommonly savage acts. A taut suspense novel that is at once compelling and thought-provoking, In a Dark Time ingeniously explores our culture's complex relationship with violenceand paints a vivid portrait of America too often color-blind to the bloody hues that tinge its landscape. Library Journal Precise, imaginative, sensitive, astute...The claustrophobic atmosphere of a small town and the gradual buildup of pervasive fear fed by rumors is gripping. Publishers Weekly Watson...shows he's a writer of uncommon imagination and insight. He builds his story on the murders of schoolgirls in an small Midwestern town; however the theme is not these horrors but their effects...What is the dark side of human nature "in a dark time."